Live! 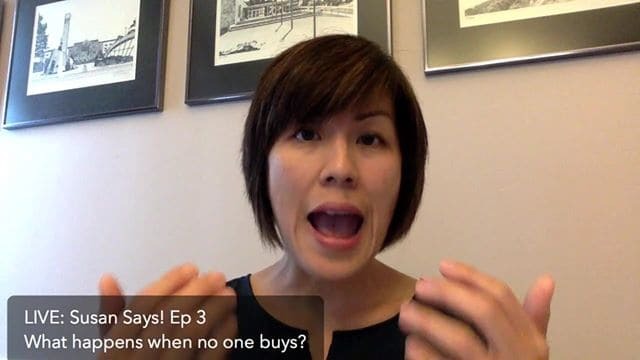 Susan Says: EP#3 – What happens when no one buys? Yes, when only a few buy and I still have to crank out lots of work for them. Sorry Leslie! For some reason your comment didn’t show up for me when I was live. Yes, this is super common to feel this way. The best thing is to validate in advance to make sure people actually want your offer before you put in the work. Are you using Ecamm? I have been having the same problem when I go live from it. I know that I need to update it but didn’t have time to do that before this broadcast so maybe that will help? I will check the same things. Thank You. I love your broadcasts. They are easy to follow and your points are what I’m dealing with, so I listen. Thank you. I appreciate you taking the time! What were your main takeaways? Susan McVea Everything was so on point but mostly for me right now is being more intentional in frequently talking about what I do and what I offer :-). You’re right maybe people just don’t know! Jenny-Lyn awesome! Yes, a lot of times people get so busy that even if they know they forget! I’m glad it was helpful for you. Hi Venus! Thanks for taking the time to watch. Awesome. Go for it. Think about what you need to do to get the people you want to join and pay. Exactly. Make sure it’s something people actually want once you figure out what it is that you would like to offer. I think this is the most important step. Thanks for recapping the points!! Venus you’re so awesome. Thank you! It’s more than people would think. I’m so glad! What was your main takeaway Venus? There being a need in the market and a sense of urgency for what I’m laying down. Lol! yes! Those are great. So think about the first action you need to take now and go do it! You got this! Yep. Don’t overthink. You already know where they would likely be hanging out. Perfect. If you already see this as the next step reach out to them now and make the offer to those it would be a good fit for.